Chicago Cubs righty Yu Darvish joined the team a little less than a year ago on a six-year, $126 million contract, but things almost immediately went sideways. Command issues, movement questions, and ultimately a triceps injury and stress reaction in his elbow torpedoed the whole thing. As he notes, that’s a “light” throwing session with no spikes, but (1) it’s off of a mound and (2) he looks to be throwing pretty darn hard for a light session. I like it. I like it a lot. Darvish spoke this weekend about his first year with the Cubs, and what he anticipates will be a big return this year. He told The Score that he’s getting that confidence back. For a guy coming off the year he had, especially on the injury front, it’s very nice to hear about confidence coming back. You have to have that complete confidence and conviction in your arm to really make your pitches and succeed at a high level. Darvish wonders whether the big contract, and his early struggles, got into his head, because he says he was not himself last year. He was thinking too much, and it sounds like he was putting too much pressure on himself to succeed for the fans, given his contract. 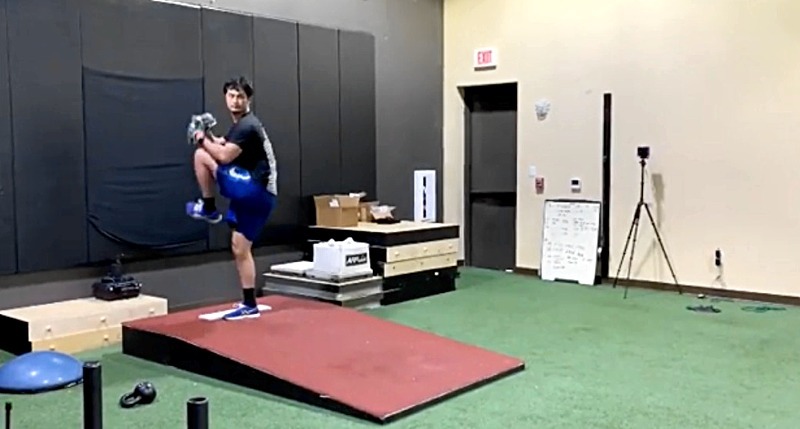 I’d imagine there were several compounding things – including his long, slow winter signing, and also the deep postseason run the year before in his first full season back from Tommy John surgery – that contributed to Darvish’s down year, and I am hopeful that a full reset will allow him to resume being the guy he has always been. He also saved some bullets along the way, so hopefully that, plus the cleanup procedure, will help his arm health and get that slider moving some more.